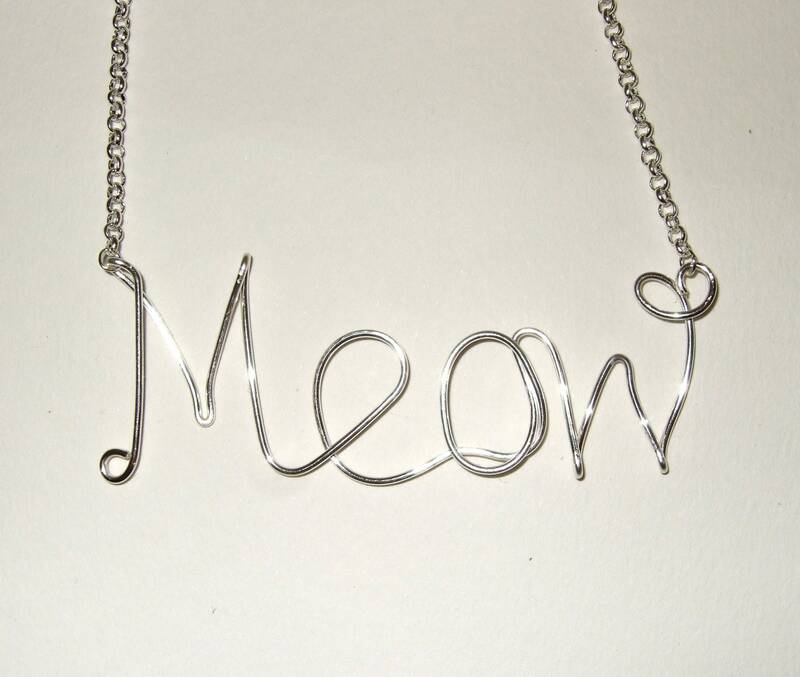 This fab necklace is formed from non-tarnish silver plated 18 guage wire, twisted into the word 'meow' and suspended from a silver plated rolo link chain which fastens with a lobster claw clasp. 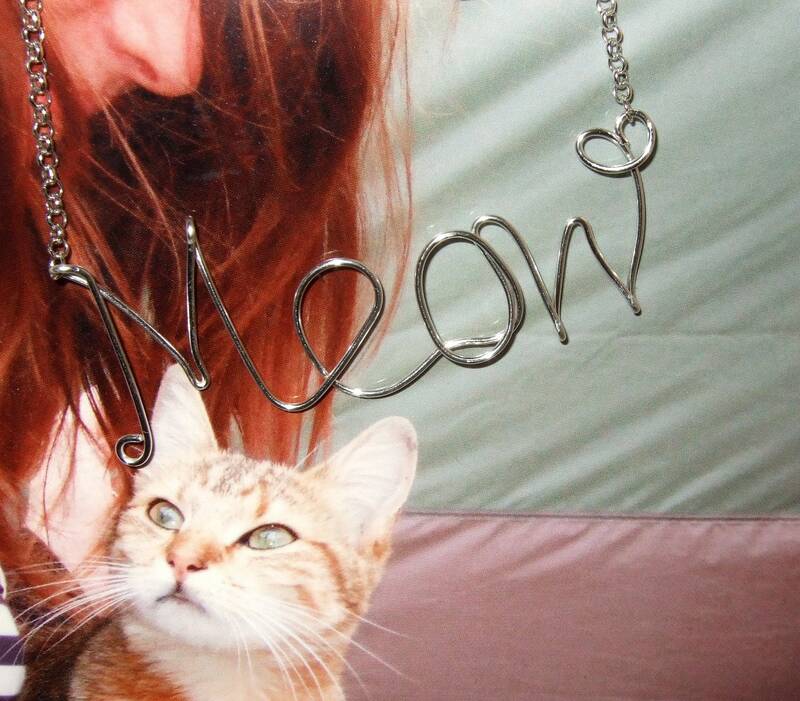 The total length is around 18"/45cm, although if you would prefer it made longer please just ask. 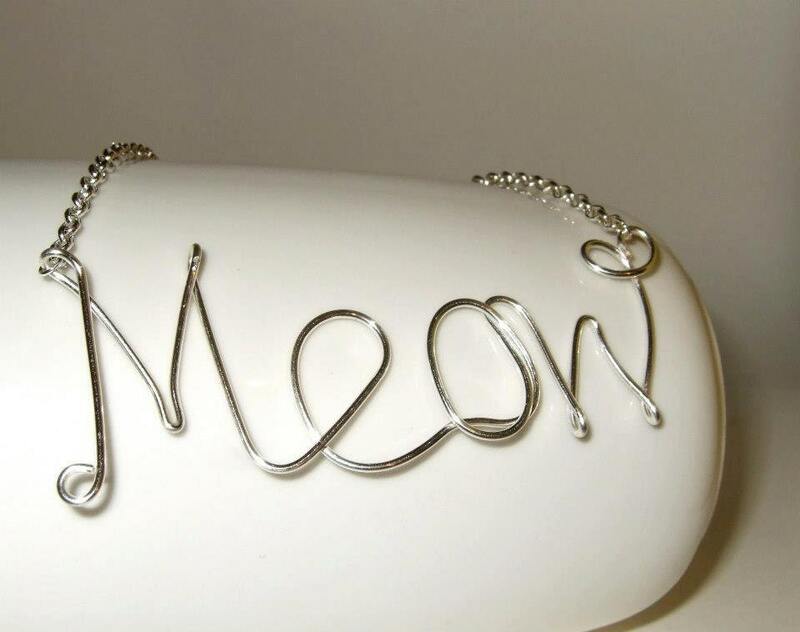 The 'meow' word itself is around 3.25"/8cm wide. 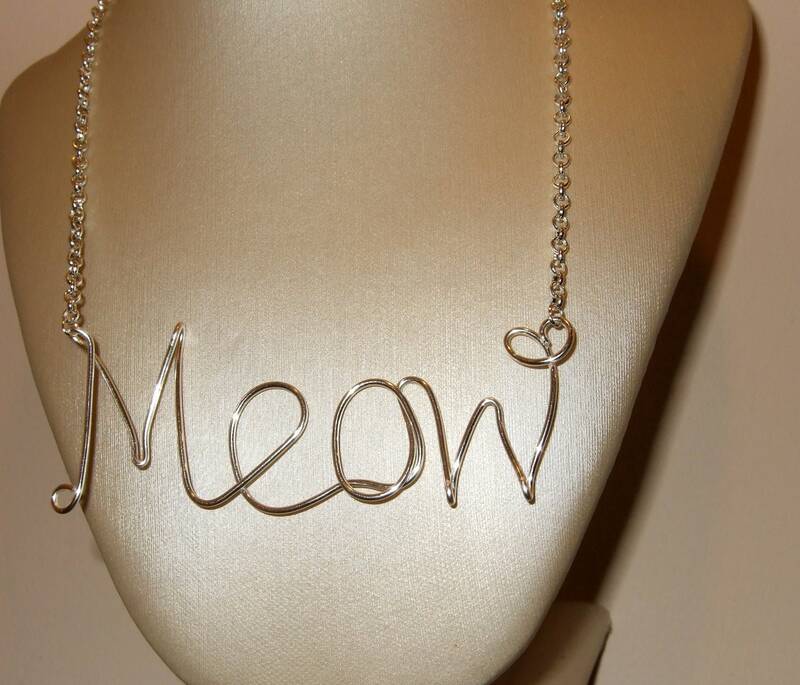 Please note, these necklaces are hand-formed and each one is therefore unique.